← How to convert MS Office Excel documents of XLS to PCD? When you finish converting prn to pdf, you would see there are several blank pages in pdf, this article is going to show you how to convert prn to pdf and remove blank pdf page through PCL Converter. 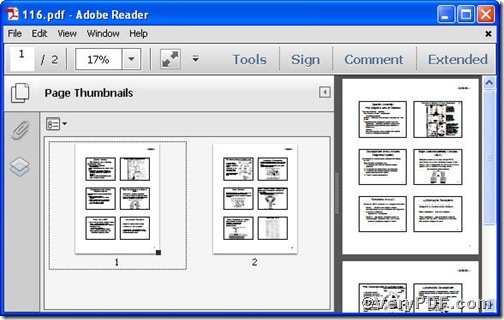 PCL Converter quickly converts PCL and PXL print files to Adobe Acrobat PDF files as well as PS, Postscript, TIF, TIFF, JPG, JPEG, BMP, PCX, PXL files. This is not a raster based conversion. It can be used to create either bitmap files (PCX, TIF, JPEG, etc.) at various resolutions or searchable PDF, PS, Postscript files. PCL Converter is the fastest and most accurate converter of PCL, PXL, PX3 to PDF, TIFF and other distribution formats. Integrate high-volume batch conversion into your server-based application or workflow. 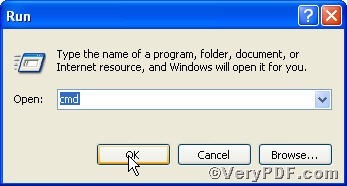 -noempty is to delete empty pages from PDF file. 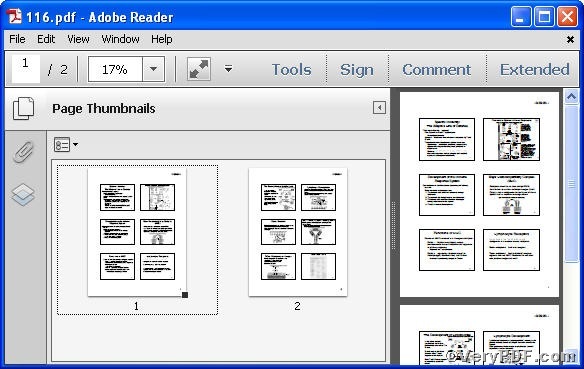 You can use different parameters to convert prn to pdf and remove blank pdf page according to your requirements. 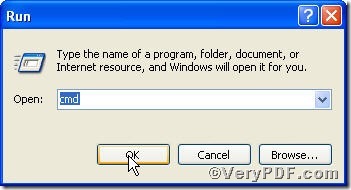 This entry was posted in VeryPDF Blog and tagged command line, PCL Converter command line, prn to pd, remove blank pdf page. Bookmark the permalink.